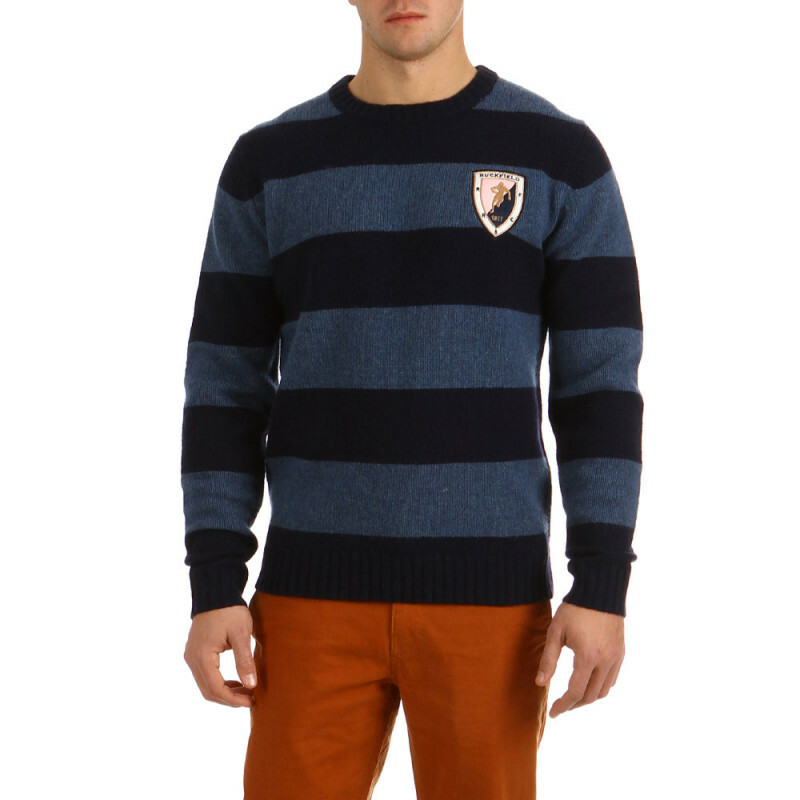 With its navy and blue stripes, this rugby jumper combines comfort and elegance. 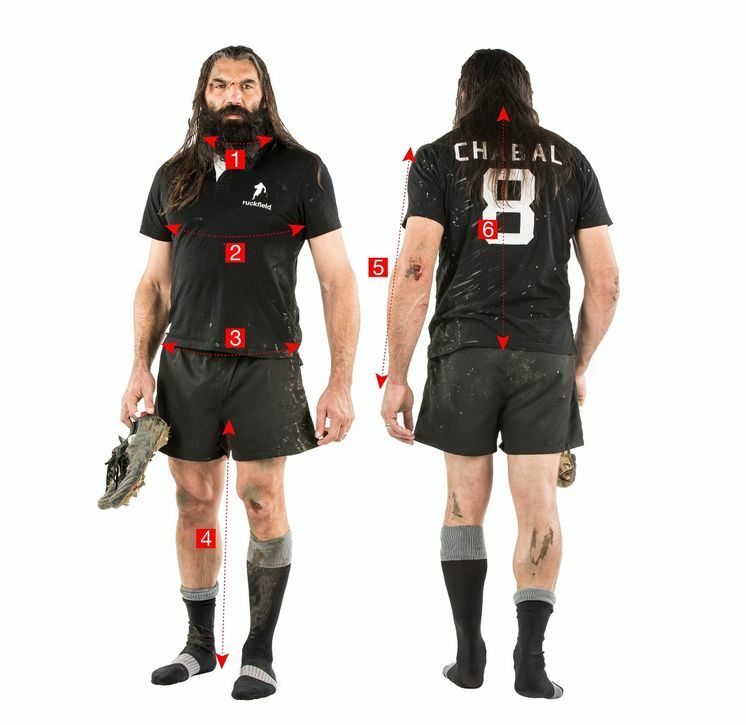 Ruckfield embroidery on the chest. 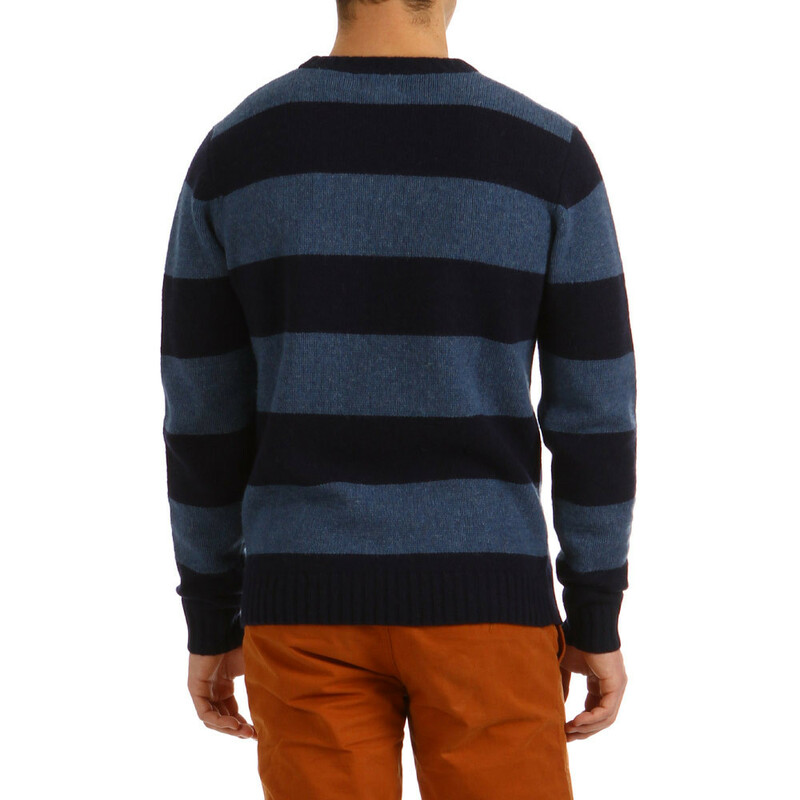 This rugby jumper goes fabulously with bright coloured trousers for a chic and casual look - try orange!